Clear your calendar - It's going down! 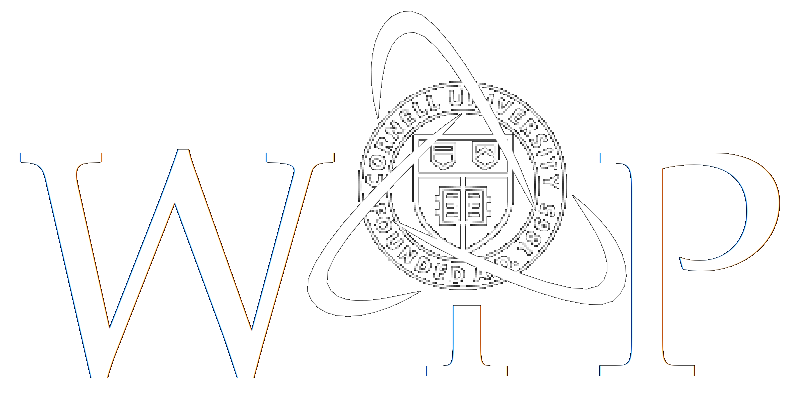 Cornell Women in Physics 40th Anniversary kicks off on October 14th, and you're invited to take part in the festivities. Cornell University (245 East Avenue) is our meeting spot for a night of fun and excitement. Come one, come all, bring a guest, and hang loose. This is going to be epic! Please join us in celebrating the 40th anniversary of the founding of the women in physics group at Cornell with alumnae, faculty, staff, and current students. This all-year reunion will include both undergraduate and graduate alumnae in physics and related fields, dating back to the founding of the group. We are organizing networking events, panel discussions, poster sessions, and tours of the new buildings. We are also delighted to announce that Prof. Laura Greene, chief scientist of the National High Magnetic Field Laboratory and president-elect of the American Physical Society, will be our keynote speaker. There is no registration fee, and all meals will be provided for. Of course, donations to Cornell's Women in Physics group are always welcome. Even if you cannot attend, we would still very much like to hear from you. We are doing our best to gather updated contact and biographical information from all of our alumnae, which can be shared during and after the reunion. We look forward to hearing about the experiences, challenges, and accomplishments of all the talented women who have left their mark here at Cornell. If you follow the link to RSVP below, you will have the option to share with us what you have done since leaving Cornell. The reunion will mostly take place in the Physical Sciences Building and Clark Hall of Science at Cornell. These buildings are adjacent to one another, and parking on campus is free in certain locations. Appetizers, alcoholic and non-alcoholic beverages provided. Discussion on women in science, spanning 4 decades. Discussion on careers, spanning 4 decades. Cornell WiP has reserved rooms in several hotels around Ithaca. Space is limited, so please reserve as soon as possible. In order to book a reserved room at the William Henry Miller Inn, Quality Inn or Hotel Ithaca, please call the hotel directly and say you are attending the Cornell WiP conference. The planning committee currently consists of graduate students, faculty and staff members, and a founding member of Cornell WiP. If you would like to join the committee, or if you have any questions or suggestions, please don't hesitate to email any one of us. Prof. Sparks is a professor at Harvey Mudd College, specializing in Solid state physics, including study of the magnetic properties of metals and interfaces. She earned her PhD here at Cornell, and is a founding member of Cornell's Women in Physics group. Prof. Thom is an associate professor here at Cornell. She a Particle Physics Experimentalist, with a focus on data analysis at the Compact Muon Solenoid (CMS) experiment at the Large Hadron Collider (LHC) at CERN. Prof. Patterson is a professor at Cornell, and the director for Cornell Laboratory for Accelerator-based Sciences and Education (CLASSE). Her research concentration is on energy frontier physics using the CMS detector at the LHC, and particularly searches for physics beyond the Standard Model. Ms. Wurster is a teaching support specialist for the large undergraduate physics lectures. Dr. Sealfon graduated from Cornell in 2001. She is an education innovator and quantitative scientist, and aims to engage diverse demographics to uncover the beauty and power of science, make more informed decisions, and collaborate towards more sustainable and harmonious solutions to societal issues. Lauren is a 4th year physics PhD candidate at Cornell. Katherine is a 4th year physics PhD candidate at Cornell.